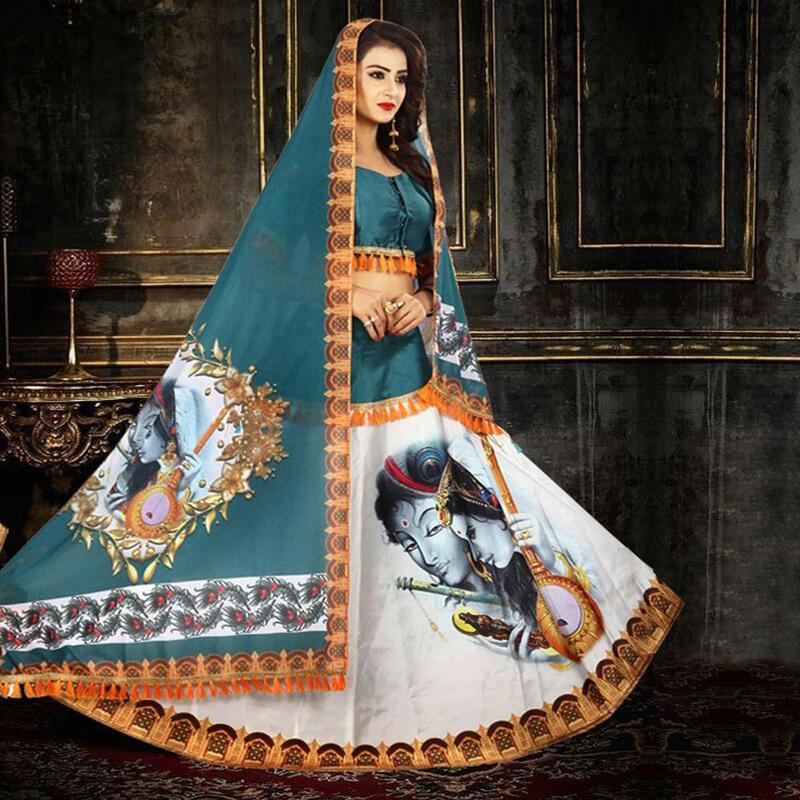 Create a smashing impact on everyone by wearing this stunning stone blue - white colored heavy silk lehenga choli. The beautiful digital print within the apparel adds a sign of beauty statement with a look. 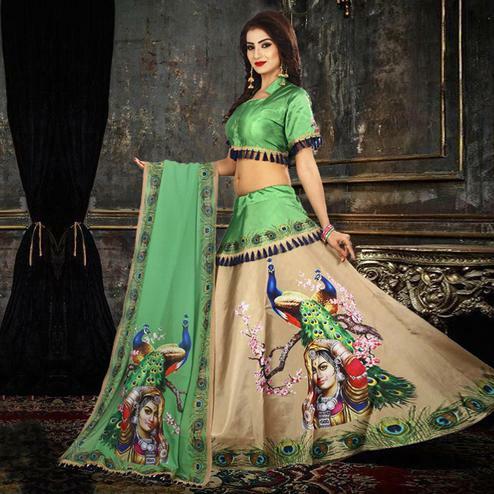 Available with digital printed tapetta silk choli fabric, heavy satin lining and beautiful digital printed heavy chiffon silk dupatta with tassels. 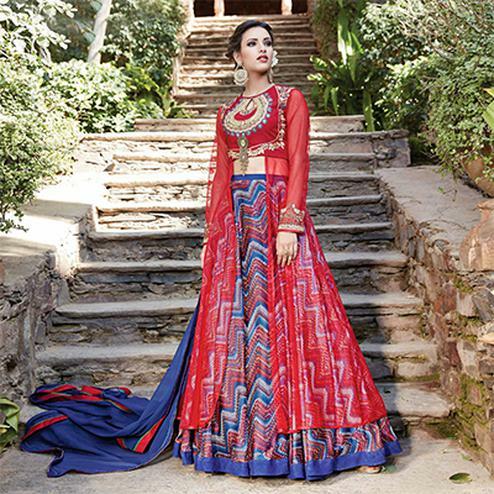 This semi stitched lehenga choli is perfect for traditional functions, festivals, wedding functions or engagement ceremonies. Pair it with traditional accessories to make your look more beautiful.